A very old hydrolic piston driven pumpjack operates continuously on a Cimarex lease on the Eastern New Mexico High Plains. 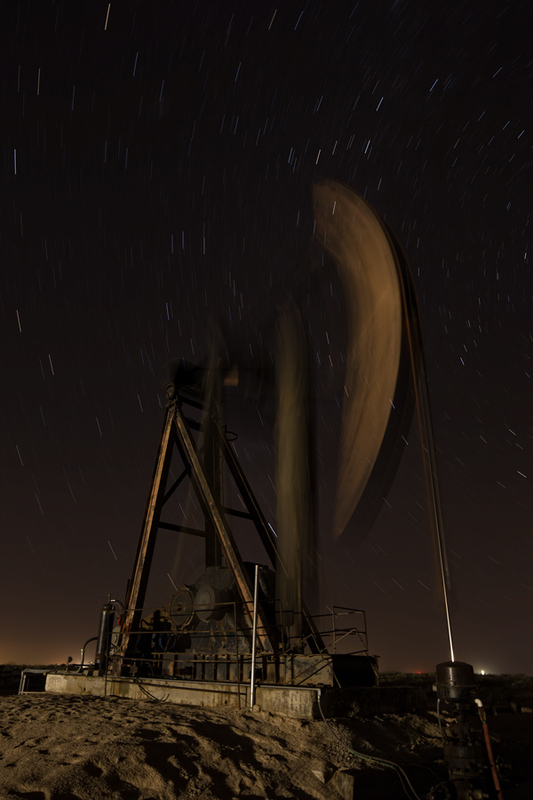 The unit is photographed in one long 45 minute exposure with the aid of lighting provided by H&P Drilling's Rig 474. The long exposure captures the movement of stars around Polaris the North Star.